Are you living in a Vastu Compliant House? Ask The Best! A stand alone house provides expanded possibilities to its occupants as far as creative designing of the house is concerned. Living in a stand alone house also gives the residents a feeling of spaciousness. While all this sounds nice, one must not forget to adhere to the principles of Vastu while building and staying in a stand alone house. Thats because your dream house is affected by the energies that settle in it as per its structure. Vastu is a divine architectural science that has the potential of warding off all negative energies from your stand alone house and attracting positive ones. Hence, we urge you to book a Vastu consultation visit for your stand alone house by Arun Bansal who is a well known & highly respected Vastu Expert. It offers through analysis of the stand alone house on the principles of Vastu Shastra. Vastu condition of the main entrance of the house which controls the overall flow of energy is revealed. Vastu compliant places for electronic items are suggested. It helps us to bring a divine grace of living in the house. It charges the house with prosperous energies. Making the house in adherence with Vastu resolves all money related problems. It promotes peace & self realization in the house. It balances the Sun energy on the roof of the house to attract finance & health. It recommends favourable plants for the house. Objects for correcting a flaw as per Vastu are recommended. 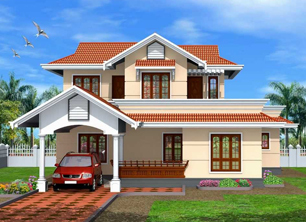 Vastu compliant stand alone houses promote clarity of mind & creative thinking. It is observed that people living in a Vastu corrected house never face any hurdle in their business/career. Vastu based stand alone houses promote sound & refreshing sleep. Powerful Remedies are provided to balance the Five Elements residing in the house.